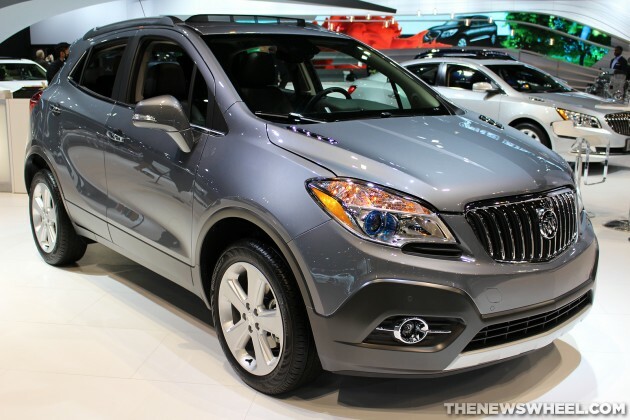 Earlier this week, reports from sources close to Buick indicated that the brand may not only import the new Envision crossover from China, but that it might also opt to relocate most of its North American production to either China or Europe by the end of 2017. Though GM declined to comment on the matter, the UAW has already gone on record as saying that it is vehemently opposed to the idea of shipping American jobs overseas. At present, the Buick Enclave is built at Lansing Delta Township Assembly in Michigan; the LaCrosse is built at Fairfax Assembly in Kansas; the Regal is built at GM’s Oshawa assembly plant in Ontario; the Verano is built at Orion Assembly in Michigan; and the Encore is built in Mexico, Korea, and Spain. According to rumors, only the Enclave and LaCrosse will continue to be manufactured at their current facilities. Buick will begin sales for the 2016 Cascada convertible later this year, a model that will be imported from Europe. Of course, there are many factors at play, which means that plans can easily change if they haven’t already.